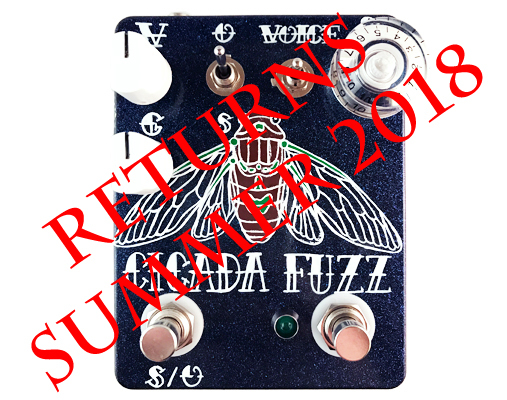 The CICADA FUZZ is a trem-fuzz that boasts tons of available volume, a three-way voicing diode toggle, a Speed footswitch connected to a dual-ganged pot to control the speed, and new for 2017’s V3 are a pot to control the gate of the fuzz AND a toggle that switches what the left momentary footswitch will do – oscillation or switch the tremolo speed. 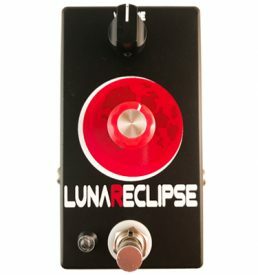 With the toggle down, hit the left Oscillation/Speed footswitch and the speed flips to opposite setting on the pot (ex. 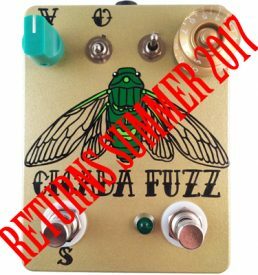 – speed pot is set for the slowest setting…hit the footswitch and it jumps to the fastest setting…). With the toggle up, hit the left footswitch to trigger crazy cicada-like oscillation. 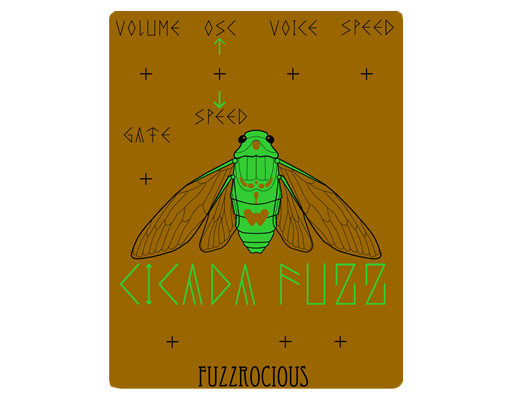 In homage to the 17 Year Periodical Cicada, only 17 of this version will be made. As Shannon returns to teaching mid-August, she will not have time to paint everyone’s order. The first three (3) units sold will be handpainted and the remaining 14 will be locally powdercoated and screenprinted by JuxtaPrints (root beer powdercoating with bright green and black ink — see smaller image mocked up to the left). 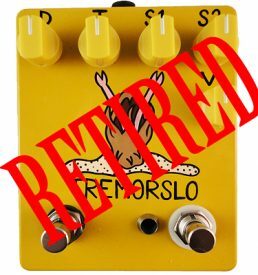 Includes true bypass on/off footswitch, volume pot, dual-ganged speed pot, gate pot, oscillation/speed footswitch assignment toggle, voicing toggle, oscillation/speed footswitch, and operation LED. 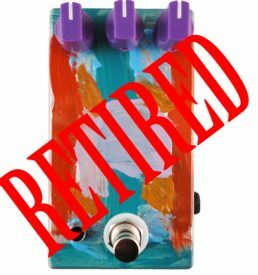 Handpainted orders may now take up to 16 weeks to ship due to Shannon returning to teaching in September 2017.